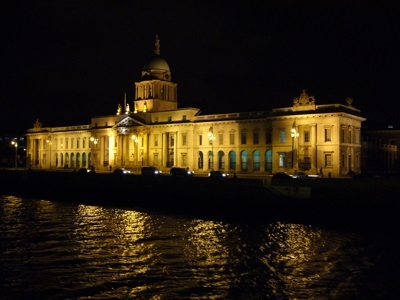 Dublin (Irish: Baile Átha Cliath) is the capital of, and largest city in, Ireland. The city is expanding rapidly, and as of the 2006 census, the population in the area of Dublin City Council was 505,739, the Dublin Region population was 1,186,159, and the Greater Dublin Area's population was 1,661,185. Originally founded by the Vikings, Dublin is situation on the mouth of River Liffey, and has been the capital of Ireland since medieval times. Today the city is an important economic and cultural center, as well as being home to some of the best nightlife in Europe.